Although I see the pixie face at the window, I widen my eyes in the dark, disbelieving. The entire tiny form then somehow squeezes through the fractionally opened window. A cold November air has swiftly turned the bedroom frigid, causing me to burrow deeper into my flannel sheets, but my eyes remain outside the comforter. In the 2.a.m-dark-room, I watch the silvery shadow move swiftly from window ledge to underneath the bed. “Shhhhhh,” comes forth a soft-as-satin sound from underneath my bed. “But I always knew!” I whisper back. “So you don’t get into trouble,” the sound says gently, the way I remember it over 50 years ago. As clear as daylight I see mom and dad trying to convince 4-year-old me that the winged pixie I describe flitting from corner to corner is actually a monster under my bed. My parents are sure that I’m experiencing a young child’s rite of passage – a bedtime monster – which is much easier for them to believe than a flying fairy. At 4, I don’t know how to explain to them that I’m not worried. I just want to share with them the delight of my nighttime exploits with this joyful little sprite, who keeps asking me to fly with her. “Why can’t my daughter see monsters under her bed like most kids?” my mom asks my dad. Now, all these years later, I climb out of bed and bend down, peering behind the dust ruffle. this is so deep, amazing, and classical post!! Thanks for enjoying my night-time tale. Hope you have some interesting fantastical night-time visitors also, Ben. The British are very good at creating ads, especially at Christmastime. Thanks for sharing that link, Darlene. It’s funny: I don’t even know what I’m supposed to do as a consumer, in response to that ad. But I knew what I felt, which piques curiosity, which in turn makes me want to watch it again and find out. What’s more, it caused me to think about perspective and creativity, which inspires. So true, Erik. I wasn’t sure what exactly that commercial was selling. But no matter, it tugged my heart big time. Ah I wondered if you’d get to hear of the ‘John Lewis’ Christmas tv ad Pam … they are much anticipated in the UK, the imagery and music stir so many emotions across the generations … my wife happens to work in one of their stores so yippee I get a discount when I buy her presents! … and I fly too … every time I read you … says the ‘monster’ from the UK. Haha – you are NO monster. But you do monstrously clever things with words… Thanks so much for the compliment. Oh the flying adventures are just starting…. ! 🙂 Hope you find a little pixie under your bed once in a while, Annika. Oh I love this! Why? Because firstly it is so beautifully written, with the perfect photos to go along and secondly because as a young child I had an “imaginary” friend for a very long time. Not only that, but I strongly believed in fairies and that They presented in flying seed form (from the milkweed pod). I had a little suitcase full of them and their magic which would be opened at times of need, to release the magic spirits within and collect more. Peta – your memories of your milkweed pod fairies are charming and delightful. Ohh, couldn’t we all use some of that milkweed magic scattered around us from time to time? Your childhood imagination (and dare I say, 3rd eye abilities) are what have made you into the artist and explorer you are today. I had an imaginary friend named Honey and this lovely tale of your pixie brought back memories of her. How delightful that your middle of the night visitor was a friendly sprite. 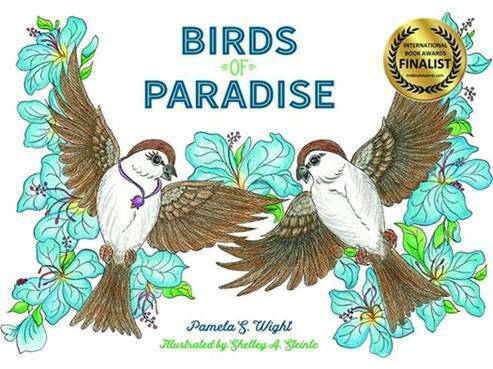 Such a happy ending – it’s never too late to take flight, Pam! It’s fascinating – how many of us writers had “imaginary” friends when we were children. Oh This is sooo good! Great job! I’m trying to forget my fear of taking off, and just going with it!! Happy flying to you, also, Mary. This story rings true with me. Not all of my childhood monsters were scary, just different. Have a good time with your old friend. Fly high. How wonderful that your very own Tink has come back to you. We all need encouragement to fly. I love this! My favorite part is when she sits up and asks why they’re whispering. Wouldn’t that be wonderful to have a childish sense of wonder and imagination along with the agency of adulthood? I think we each need to keep a sense of wonder and imagination throughout our lives. The idea that being an adult means treading the same mundane path over and over each day is one I just have never bought into. This is a topic I write about often, and included as an entire chapter in my last book. What a lovely story! I’m glad your fairy came back. Love and hugs, Pam. I adore your writing, Pam. It’s so thought-provoking! Hope you enjoyed your night flight! This is such a lovely story, Pam. I daydreamed of flying with Peter and Tink when I was a girl. I’m glad to know you haven’t lost the wonder – fly, girl, fly! Ah! I love this! What a wonderful magical story, Pam. And all true, isn’t it? I love that. Of course you and I are on the same wave length here, Diana. I always shake my head about how adults patronize children about the things they ‘think’ they see. In actuality, it’s the grown-ups who are missing out. Sigh. Ah, yes, exactly. Aren’t you and I lucky that every once in a while, we still hear the bell? This story brought a smile to my face this morning. Thanks for sharing it with us. Thanks for enjoying my fairy visitation. I’m hoping it opens up the memories of some, so they’ll get a re-visit too. 🙂 And I love your alliterative enthusiasm. Excellent, Pamela. I could see my breath as I read this. Thanks for entering my fairy realm, John. And thanks for the RT! This story warms my heart Pamela. I love the idea of our childhood dreams coming true and visiting you again as an adult. Makes me smile ear to ear. I prefer the pixie. Isn’t it funny how so many people worried about monsters under the bed. I still can’t dangle my arm over the side of the bed at night. Sorry, the damage has been done. No way I will take a chance and dangle my arm over the edge of the bed. I won’t get into too much detail here, Pam, but I had many childhood friends who visited in my dreams rather than when I was awake. When we met up in my dreams, they all knew I’d been away in my “other life” and were happy to see me. We caught up on what I’d been doing, as well as what they’d been doing since last time we saw one another. They weren’t recurring dreams, just recurring settings and friends — one being an entire town. I had a best friend in my dreams up until I was about 14. We both lived in a neighborhood on a hill that sloped down toward the ocean. I knew that neighborhood — every house, the snack shack down by the water on the left, all of it. Recently, I found myself back there in a dream! It had changed. Some houses were gone. Others had been built. The snack shack was abandoned and a shopping mall had gone in behind it. But my childhood friend still lived in the same house, now my current age. It was quite a reunion. All very surreal. I’m honored and thrilled that my pixie post reminded you of your dream friend – and his town. I totally believe your dream experience – I’ve had similar, but not as fleshed out as yours. I’ve been to towns (in my dreams) that in ‘real’ life I never knew, and yet knew that I belonged there somehow. Once, when I lived in CA, I dreamed of a town that I thought was in NE, but that’s all I knew. In the dream, I walked into a small store in the village, and found a little ceramic object that touched my heart. About six months later, my guy and I visited his family in Boston. My mother-in-law decided we should visit one of her favorite towns on the ocean one day. When she parked on the village’s street, I got a tremendous deja vu feeling. Once we started walking the town, I knew every inch of it. It was the town in my dream. I led us to a store that I knew (from the dream). And yes, right on the window ledge was that little ceramic object. FREAKY. Oh, the town? Marblehead. Thanks for sharing your ‘freaky’ dream experience. It solidifies that what happened to me isn’t unbelievable. Glad to see our imaginations never leave us! I love t h is story Too! You are a master story teller. Many many thanks for the writing compliment, and for enjoying my pixie tale. May you have some great night time visitations also! Your story brings out the child in all of us. Brought up many memories of what lurked in the shadows of my room. Great story! You’re such a great reader and reviewer of children’s book, Patricia. I figure those who write for children have the ability to bring themselves back to that time when “what’s supposed to be,” and “what isn’t supposed to be'” merge into some magical experiences. A pixie that tells you to fly. Now that is a story. Actually, I think you have been flying high for a very long times and just never came to the realization, not flying in an actual sense but in your life and success. Love this! Great story, Pam! It’s so beautiful Pam, you made my morning. I always had to get rid of the monsters my baby brother saw under his bed . If it got too bad we both crawled into my parents bed. I should start looking for my pixie ! And did you know? She’s travels with you – wherever you go! Oh I love this Pam – I love the magic of it, the fact that you were unique in having a fairy instead of a monster, and the ending. I hope you enjoyed a magical flight. The flight was just as I remembered it, only even better. I can’t wait for my next visitation…Keep your eyes open (figuratively), Andrea. She may come and call on you one night. I love this story, Pam. It’s truly delightful. Thank you for bringing a smile to my face. I’d love to join you and your pixie in that flight. Anytime, Norah. Just bring along your own pixie (she’s just waiting under your bed for you to find her). We’ll flit from your country to mine in a manner of minutes! This is lovely and incredibly comforting. Why, thank you Victoria. It IS comforting, what a great word to use. We have magic right beside us, always, just waiting for the “okay” to use it. In our childhood we are so creative and free and anything is possible, including pixies. Then adulthood comes along and our imagination dies. But fortunately in older age our childhood returns. My “pixies” are now back in my life to stay… I no longer disbelieve in any possibilities! Thanks for your story. Perhaps you’re right. In our mid-life, we’re too busy to allow our childhood dreams and magical realities to come to the forefront. But now, on the other side of the middle, we’re opening up to those almost-forgotten delights. I still think of monsters in the dark … well, the human ones. you made me smile with this, Pam. Loved it! I’m so glad you smiled when reading my fairy story, Denise. That’s part of her magic, you know…. Pam! That was purely wonderful. I see that it struck a chord with many. Hugs on the wing! I know, Teagan, isn’t it fabulous to find out how many of us had (and still have) magical night-time sprites in our lives??! YEAH, THOSE PARENTS CAN BE A DRAG SOMETIMES, ABOUT BELIEF! GREAT STORY! Thank you so much Jonathan. I hope it helps everyone remember the pixie in their childhood room. I love the sound of your world – full of wonder, pixies, and magic. Imagination does wonders to escape the world’s craziness at times.